This entry was posted in Ray Barbee and tagged ART, backyard ramps, ban this, boards, east coast, house of steam, jason, Jason oliva, jasonoliva, New Jersey, New York City, oliva, paintings, photography, pool Skating, Powell Peralta, ramp, Ray Barbee, ride, sk8, sk8t, skate, skate decks, skate history, skate photography, Skate ramps, skate trucks, skate wheels, skateboarding, skateboarding history, skateboarding photography, skateboards, skatepark, skater, SKATERS, steam, Street Skating, TEAM STEAM, The Barn, The House of Steam, thos, vert, vert ramps, Vert Skating on August 21, 2007 by jasonoliva. Check out Chuck Treece Jamming with Ray Barbee and Mike Watt (Minutemen/ Firehose) in Cally. Footage was shot by Team Steam’s Rick Steamboat Charnoski. Click the NCP Logo an go check out Chuck!! 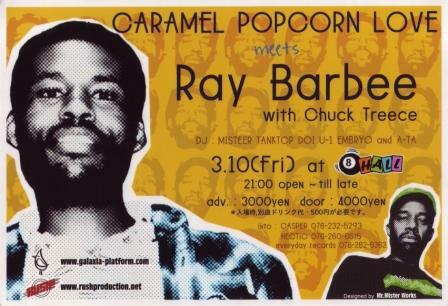 If you dont know who Ray Barbee is then you must go study at the university of wikipedia! … and watch the Ban This video as well. WARNING THIS MAY HYPNOTIZE YOU!!! This entry was posted in 1989, 2006, Chuck Treece, McRad, Ray Barbee, Rick Charnoski, SKATE VIDEOS, SPOTS:, TEAM STEAM and tagged ART, backyard ramps, boards, Chuck Treece, east coast, jason, Jason oliva, jasonoliva, McRad, mike watt, New Jersey, New York City, oliva, paintings, photography, pool Skating, ramp, Ray Barbee, Rick Charnoski, ride, sk8, sk8t, skate, skate decks, skate history, skate photography, Skate ramps, skate trucks, skate wheels, skateboarding, skateboarding history, skateboarding photography, skateboards, skatepark, skater, SKATERS, steam, Street Skating, TEAM STEAM, The Barn, The House of Steam, thos, vert, vert ramps, Vert Skating on June 29, 2007 by jasonoliva.